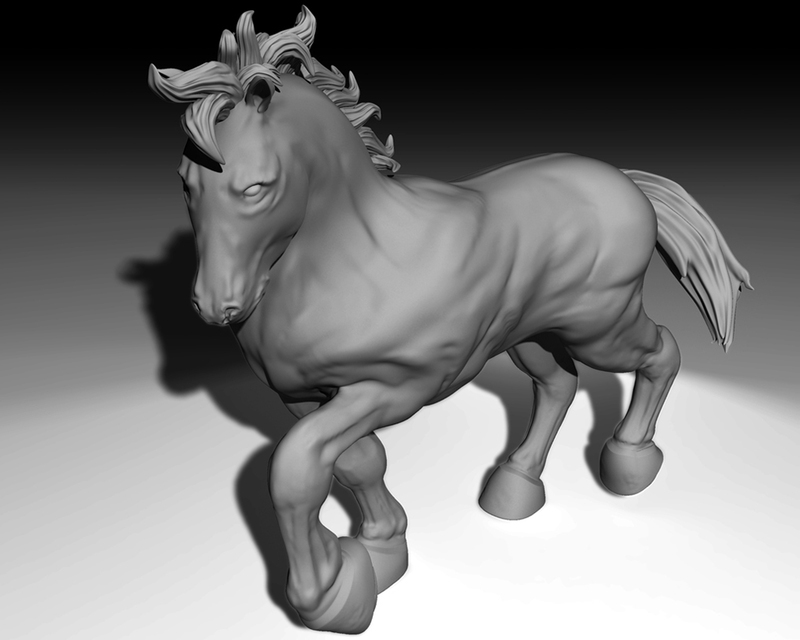 This is the model I made in high-poly class. 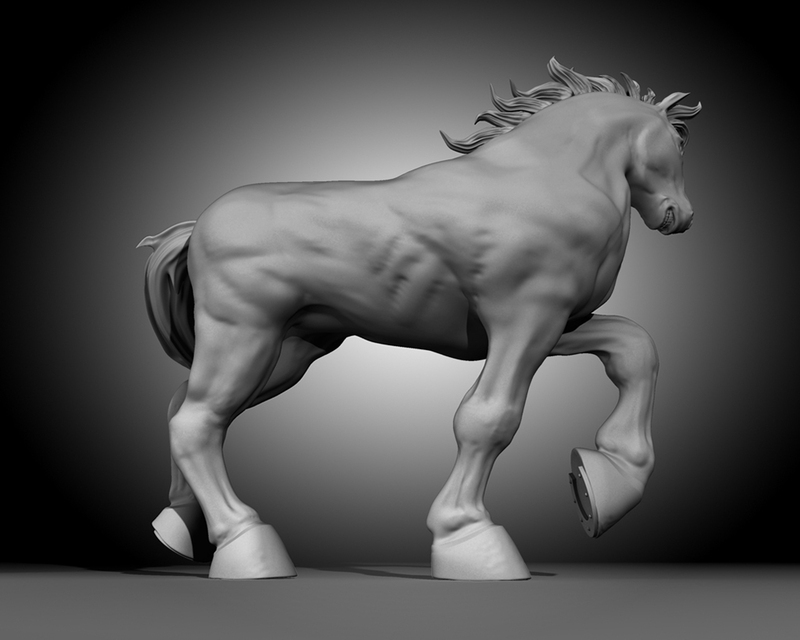 I tried to make a muscular/monster-like horse. 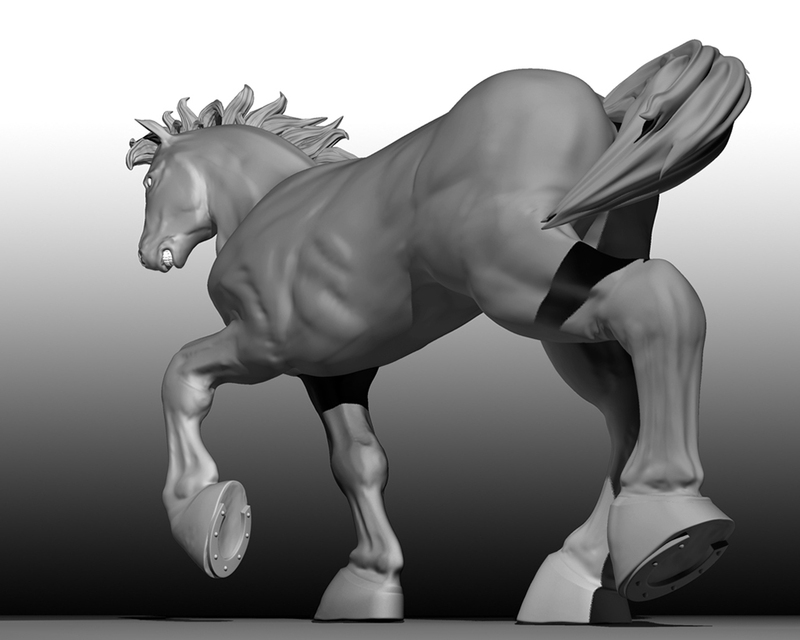 To make this figure more visually correct, I did some research about the horse’s anatomy and applied it on this model.